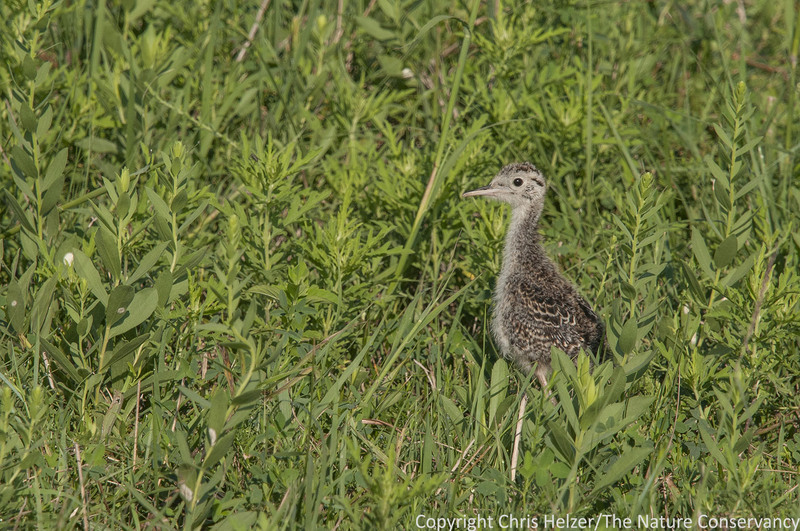 This entry was posted in Prairie Animals, Prairie Insects, Prairie Management, Prairie Plants and tagged approach, cattle, evaluation, goals, grazing, monitoring, nebraska, objectives, pasture, prairie management, progress, vision by Chris Helzer. Bookmark the permalink. Good work there. I’m sharing this with friends who have several acres of prairie. I have fired two prairie management companies over the past number of years and have taken on the task myself and am much happier, but much more tired. I have spent countless hours this year spot-spraying Canada goldenrod and have it down by 90%. Two areas that the “professionals” seeded will have to be completely redone and in the process of doing it myself. 16 acres of prairie-a lawn would have been easier but not as enjoyable. After a few years the prairie will be easier to maintain than the lawn. If you are spraying Canada goldenrod then you are going to be setting areas back to square one and prolonging the need for higher levels of maintenance. I think the best way to deal with Canada or tall goldenrod is by repeated cutting. I cut the stem at the upper most dead leaves. After the plant resprouts I cut off the newly emerged leaves at the top of the stem. However, this is really just a temporary fix until you can get a good population of rope dodder established. No offense to you, but I don’t think you know what you are talking about. There are herbicides that prairie grass friendly (Transline and Garlon 3A) and stooping down to cut and pinch thousands of Canada goldenrod plants and resprouts is both impractical and unrealistic for 16 acres. I fail to see how I am setting the prairie back as I walk through my seven foot tall grass prairie. 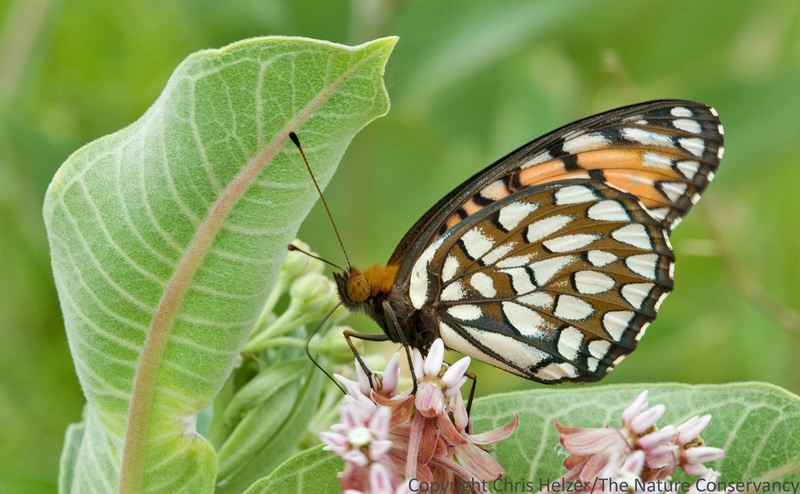 A prairie is more than just grass. 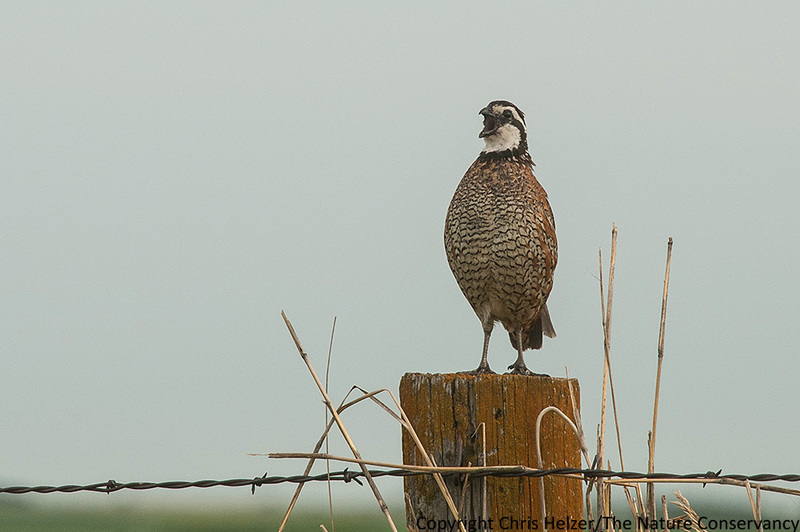 If CRP is what you want then that is fine, but it is not prairie. I have seen the result of spraying and it tends to change the ecosystem to ruderal species. In the Chicago Region stewards often use scythes to cut the tall goldenrod. I personally use a machete because I don’t have a scythe. For larger areas people use brush cutters or mow. It is true that a number of non-native dodders are serious crop pests. This is the reason permits are needed for importation. 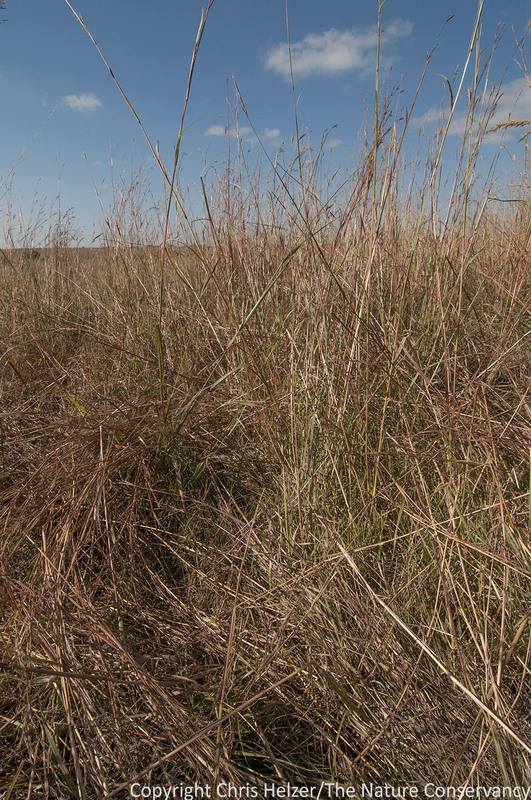 However, our native dodder species are important to the dynamic of the prairie ecosystem. From the dominance of Canada or tall goldenrod in prairie restorations I would say that our native dodder species are just as important for maintaining diversity as are bison. That is why I spot spray. We have tall goldenrod, butterfly weed, gentian, and a host of wildflowers. The issue with Canada goldenrod is that, while under professional management, it got out of control despite raising my concerns. I want a broad spectrum of plants and to not allow any one species to dominate the landscape. There are fallow fields next to me and the CR and reed canary grass is all that exists in these fields. My prairie is not perfect but a far sight better under my care. I’ve actually found that pulling the tall goldenrod after a good rain works well. This eliminates the problem of hitting non-target species with herbicide and persistence soil effects. Cutting is easier, but it tends to only eliminate seed set and not the tall goldenrod unless it is done so frequently that the entire prairie community is set back to ragweed. I would not normally put so much effort into pulling this native plant. However, when tens of thousands of dollars of plugs and seeds are being shaded out in a high school ecology class prairie restoration in the middle of town you tend to go above and beyond. The link below is to a photo of an area in a bioswale restoration. The left photo is dominated by field thistle/peppergrass in the front and reed canary grass/phragmites toward the back. The right photo shows the area after I cut it with a scythe. This area was sprayed by someone about two years ago and all that survived was the field thistle. Areas on either side that were not sprayed have at least some native species. The scything is not an immediate fix, but it is relatively quick and over time can be used to select for native species. Chris, you didn’t mention any controlled burns as part of your management plan. Do you use grazing instead? 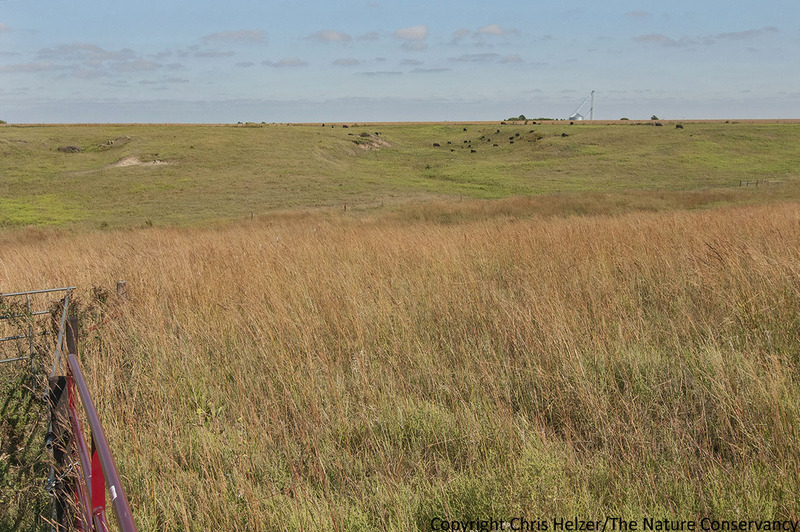 Congratulations on another year of enjoying the prairie. Thanks for sharing your reflections and visions. Hey Chris – Have you thought of haying the ungrazed area and using it for winter fodder? Why or why not? Seems like a reasonable way of reducing thick grass short of burning. I have thought about haying but haven’t yet. Partly, much of the area would be too steep and/or rough to hay (I don’t think I could talk anyone into doing it). That said, there are some areas we could probably hay. But, I also don’t have to support the cattle during the winter. The lessee takes them off and puts them on corn stocks, so I’m not looking for winter forage production from my prairie. I’m glad to have the vegetation structure – at least in some places. As long as I’ve got a mix of tall, short, and mixed-height/density, I’m pretty happy.